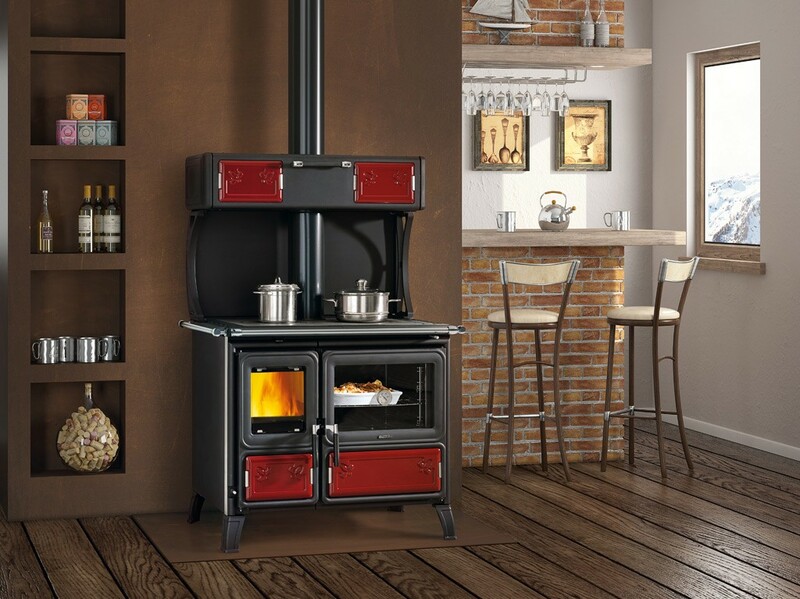 This new cook stove boasts an optional warming oven above and comes in 2 colors: red and white. 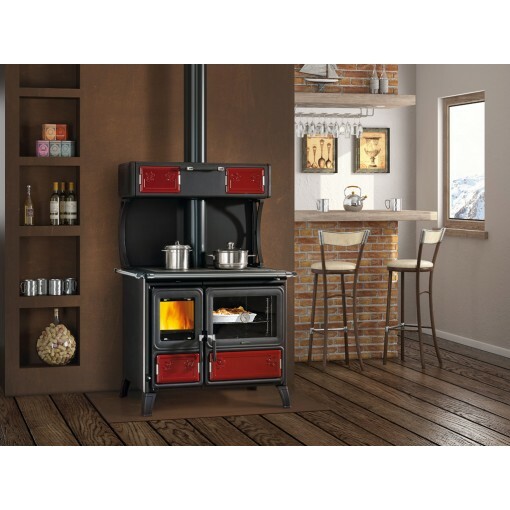 Milly is the only La Nordica stove that has legs. It's also the only one to have an optional warming oven, just like all older stoves used to have. 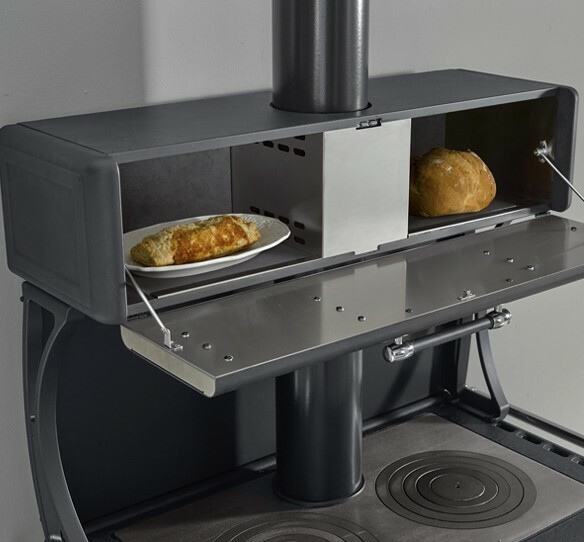 This stove has an optional outside air intake, which is located at the rear bottom left when you are looking at the stove. It's 10cm in diameter. 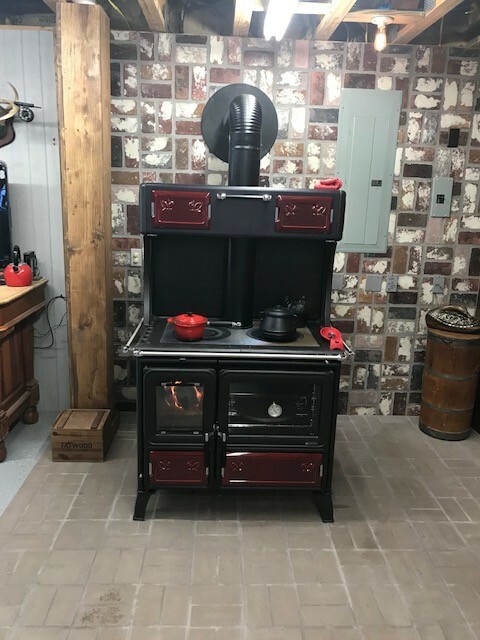 You don't have to use it unless you want to, if you choose not to then the stove will take air from the room, like most of our stoves. 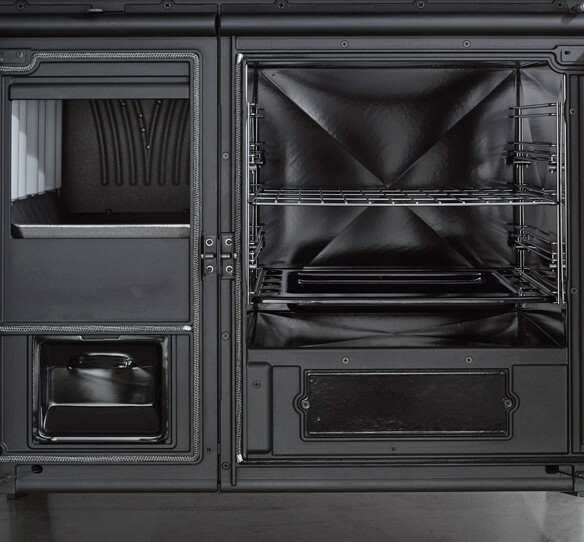 Large oven: 20.6 gallon capacity! Height of the stove incl. the warming oven: 61.5"